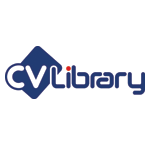 A study conducted by CV-Library, the UK’s leading independent job board, has discovered that nearly half (45.3%) of Brits don’t feel comfortable asking their existing employer for a pay rise. What’s more, almost a third (31.7%) claimed that they wouldn’t feel comfortable negotiating pay with a new employer. “While this may be music to cost-conscious employers’ ears, we can’t ignore the fact that pay is a huge influencing factor in people’s decisions to join a company and stay with them. With Brexit causing many Brits to defer any plans they might have had to change up their careers, employers need to consider how a competitive salary will help them to attract home-grown talent. Of the 49.6% of Brits who have negotiated on a job offer, the majority (79.5%) claimed to have negotiated on salary. Other popular aspects which Brits negotiated on included working hours (46.9%) and flexible working (29.1%).